Usually we wing it. We all know bags get lost in airports – it’s happened to most of us at least once – but new technology on show at Barcelona’s Mobile World Congress recently, which suggests that, soon, travellers won’t have to take any chances. 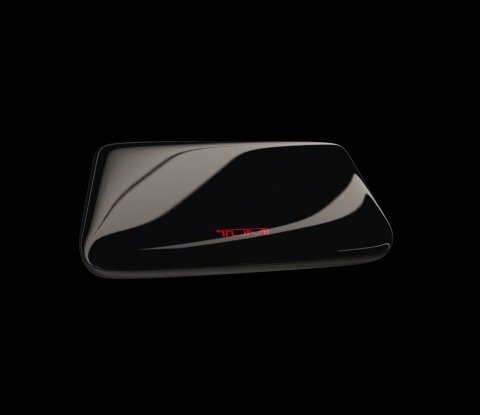 TUMI’s collaboration with LugTrack (hardware) and AT&T (connectivity) is a device designed to fit in any bag, briefcase, backpack, luggage, or accessory. It’s wireless and compact, it uses a 3G phone signal, GPS, WiFi and Bluetooth tech to provide specific location positioning information via a smartphone app used anywhere in the world. “Travellers worldwide can now lead a more connected life while on-the-go,” said Chris Penrose, senior vice president, Internet of Things Solutions, AT&T Mobility. AT&T already offers a similar global coverage-capable device to art dealers and others hipping high-value products around the world. Obviously it doesn’t spit-out signals while at 35,000 ft. It’s able to shut itself off in-flight and turn itself back on upon landing. “In today’s digital world of connected devices, smartphones, and tablets, we saw a great opportunity to support consumers’ desire to remain connected to all parts of their lives, including their luggage and bags they use day-to-day,” says TUMI’s Chief Executive Officer and President, Jerome Griffith. It was only going to be a matter of time before the Internet of Things (IoT) came to travel.